What's your age again, Falcao? Colombian TV news station Noticias Uno have alleged that AS Monaco's €60 million man Radamel Falcao is not 27 years old, but actually 29. 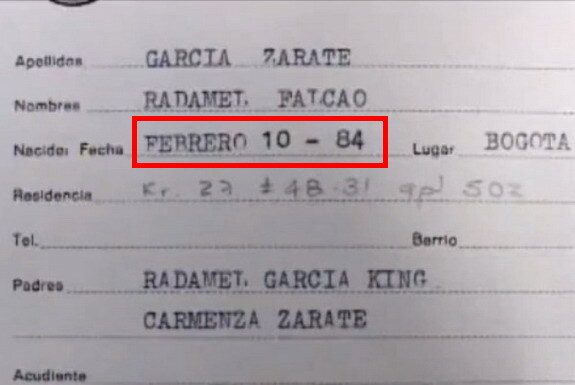 A news report on the channel claims the records at one of Falcao's primary schools, Colegio San Pedro Claver de Bucaramanga, show that the striker was born on February 10, 1984. The player's FIFA registration states that he was born on the same date two years later, in 1986. The report adds that his place of birth is actually the Colombian capital of Bogotá, not Santa Marta, as originally believed. It is also claimed that the former Atlético Madrid ace attended something called "pre-school transition" aged five, a scheme that no longer existed in 1991 - when Falcao officially would have turned five. If the report is true, Falcao would have won the 2005 South American U-20 Championship at the age of 21 and also participated in the U-20 World Cup when overage. There are also suggestions that Monaco have been duped into paying over the odds for a player who has just a few years left of his career.